The government runaround continues. As posted on March 2, the U.S. Treasury claims that it has no record within its departments of where the foreign money came from to buy STORIS. We know through released correspondence between the buyer, Mark Jurisich of U.S. Metals Recovery, LLC, and GSA that the buyer required a foreign wire of $50,100 to complete the purchase of the ship. The Bank Secrecy Act of 1970 and the PATRIOT Act of 2001 require the identification of the source for any foreign wire transfers of more than $10,000. GSA sent me to Treasury saying it had no record of where the purchase money came from. Treasury has now sent me to the U.S. Coast Guard and Customs and Border Protection. 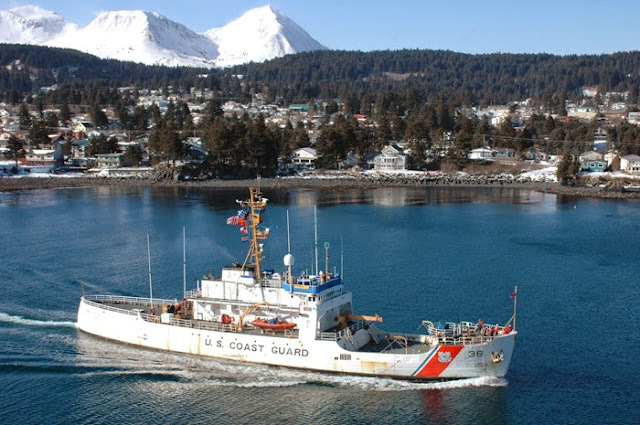 The FOIAs that I have already sent to the Coast Guard that are currently under appeal would already encompass any financial disclosure paperwork if CG had such documentation in its possession. So I sent a FOIA to CBP early Wednesday morning. That FOIA is confirmed as received but as of Thursday afternoon, I was notified that my CBP FOIA has been transferred to the Office of Air and Marine within CBP. This shows how ludicrous that this circus has become with the Federal Government, as OAM deals with drug interdiction efforts and illegal alien interception not administrative transfers of ship ownership. So we keep digging while we wait for some stupid bureaucratic answer of "we don't have any records..."
The hearing for the Surface Transportation and Merchant Marine Infrastructure, Safety and Security Subcommittee "The State of the U.S. Maritime Industry: The Federal Role" was held this afternoon in Washington. Our efforts to write letters to the Senators on the committee were successful in that we were able to put this issue in front of their staffs. 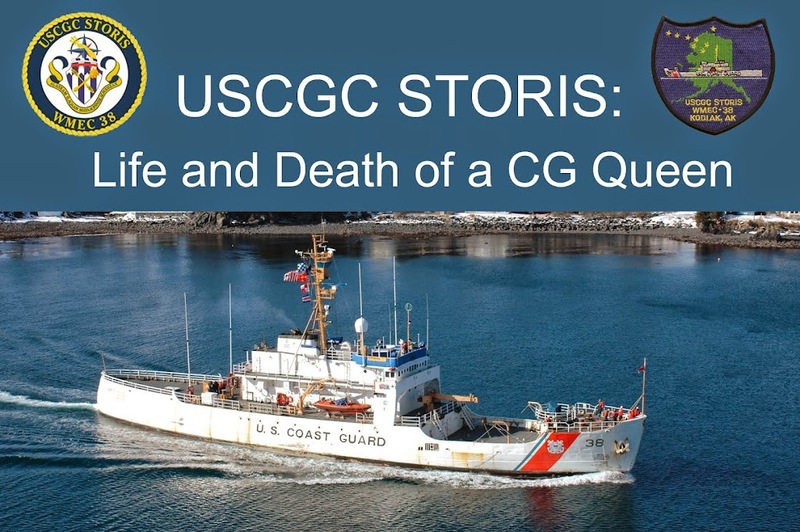 While the specific STORIS Act legislation did not come up for discussion in the hearing, Mr. Mitch Behm, Assistant Inspector General, U.S. Department of Transportation, referred specifically to the problematic disposition of STORIS by the Coast Guard and MARAD in the hearing during his testimony. Though the ship was not identified specifically by name, there is no other ship that he could have been discussing under these circumstances. STORIS is referred to on page 6. We will continue to reach out to the various members of Congress who can act on this matter so that we can get this legislation passed in STORIS' name. I will keep everyone updated as this continues to move forward. And special thanks to those who helped put together letters for this specific hearing on short notice. You did make a difference as without our input, STORIS would not have been mentioned in the DOT IG report. Maritime Executive Magazine has published another op-ed piece related to the convoluted and totally broken program in place for disposal of U.S. Government vessels, the poster girl for which STORIS has become. This is in response to the FOIA response from the U.S. Treasury where that agency claims it has no record of the source of foreign funds used to purchase the vessel from the GSA. As of Feb 26 -- last Friday -- I have already received a response from the US Department of Treasury for the FOIA I submitted on Feb 18 (see below). Treasury claims that it has no record of anything related to the STORIS Auction through GSA. This, after GSA claims that it has no records of where the foreign funding came from to purchase the ship. We know from correspondence between the buyer, Mark Jurisich of U.S. Metals Recovery, and GSA that the buyer required a foreign wire transfer of $50,100 to complete the purchase. The Bank Secrecy Act of 1970 and the PATRIOT Act of 2001 require the identification of foreign wire transfers in excess of $10,000. It looks like we may be able to add these two laws to the list of those broken by the federal government with the excessing, sale and illegal export of STORIS. Treasury questions why I am asking them, based on my claim that GSA referred me to their department. It's right there, in black and white, in the GSA letter posted Feb 15. Treasury is instead recommending that I contact the Coast Guard and U.S. Customs to seek records. Anything along those lines would have shown up in the Coast Guard FOIAs I've already submitted. I'm waiting to see if I should FOIA Customs, but it's not even clear at this point why that agency would even be involved with the direct financial transaction of the ship's purchase. "We have contacted the Case Analyst and requested an estimated completion date for your case. The Analyst will contact the bureaus doing the searches and the individuals reviewing the material. This will take some time because each case is different. The search and review time varies. The time depends on the complexity of information requested and the time it takes to review the material." With all of the political maneuvering within the State Department to protect and cover its own interests and those of former Secretary of State Hillary Clinton and her staffers with their illegal email activities, don't hold your breath to hear from State anytime soon. Does anyone in our federal bureaucracy really know what the hell they are doing? It's nothing but a huge brush off and runaround.